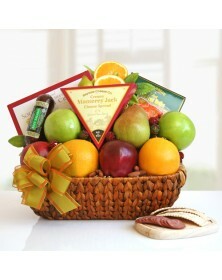 Corporate Gifts EZ To Order. EZ to Impress. 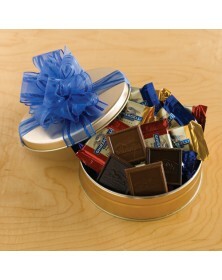 When it comes to birthdays, our food gifts show more thought and consideration than cards. 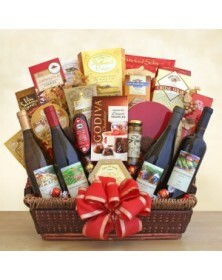 For a personalized present, our birthday food gift baskets can reflect the recipient’s tastes. 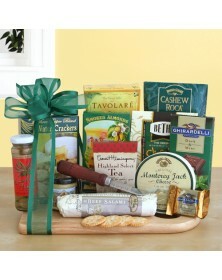 So, is the birthday girl or boy a sweet tooth, a food connoisseur, or appreciative of all things savory? 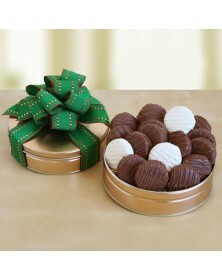 No matter his or her preferences, our selection is sure to have something. 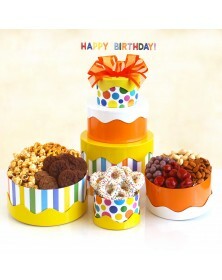 Beyond the contents, all food gifts are festively dressed up with a birthday theme. Hemingway tea and a cheese knife. 3 bottles of California red wines: merlot, cabernet and a zinfandel, and a luscious California chardonnay and get the party started!